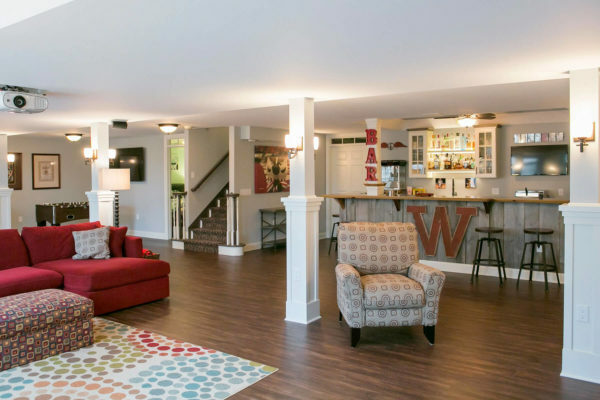 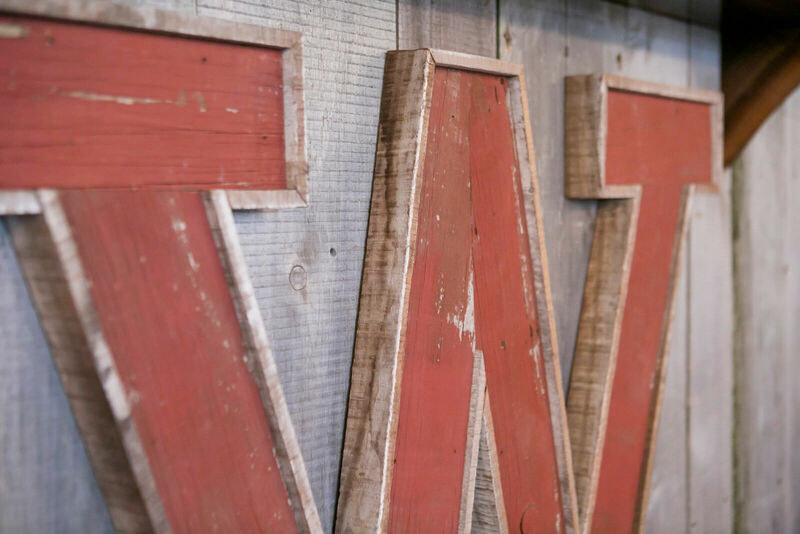 With Badger football season right around the corner, we thought there was no better time to share one of our favorite remodel projects. 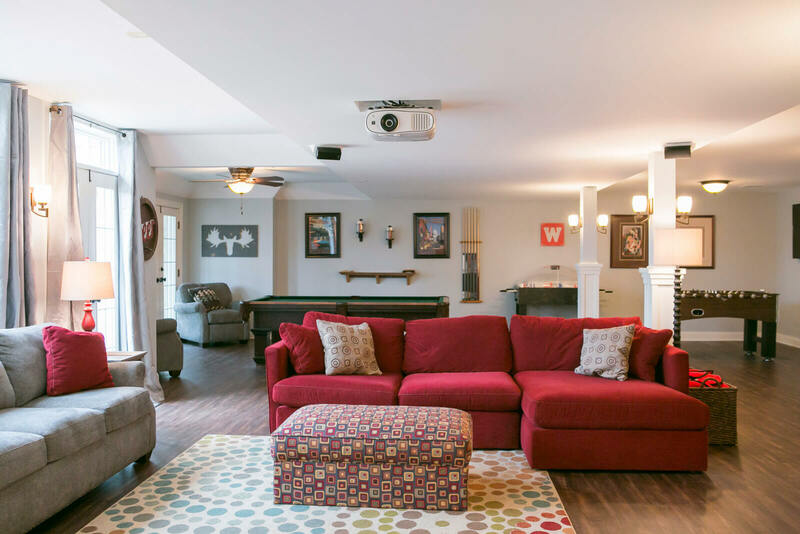 Not only was this project something we’re very proud of, but we love working with repeat customers! 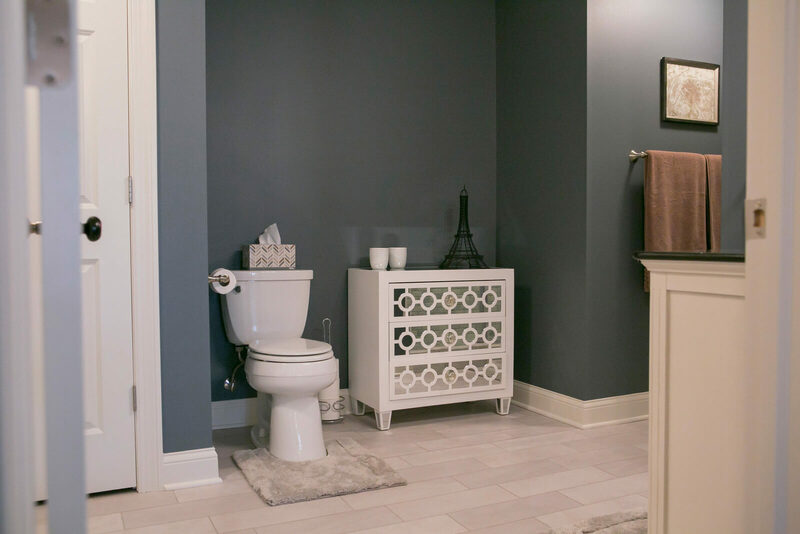 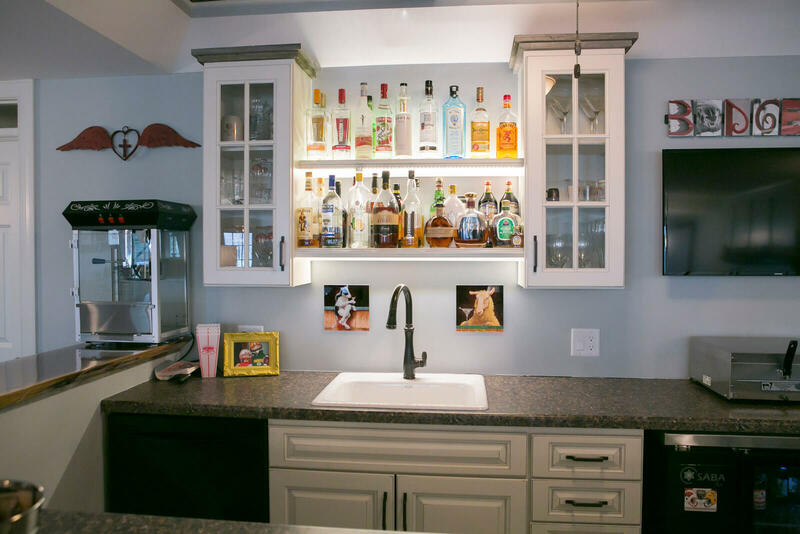 Previously our client owned a historic home located in Stoughton, Wisconsin, where we remodeled their kitchen, bathroom and attic. 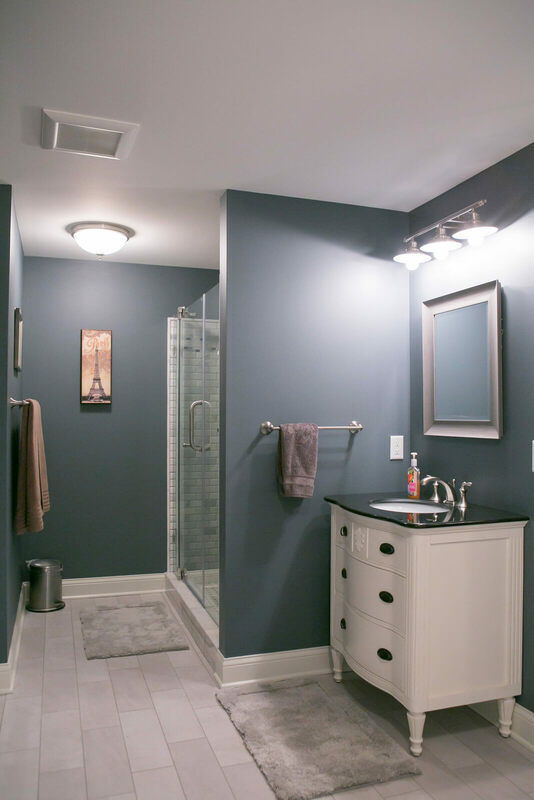 To see photos of those projects, click here. When they chose to purchase a new home, they called upon Artisan Remodeling to finish the lower level because of our ability to create a unique and amazing space! 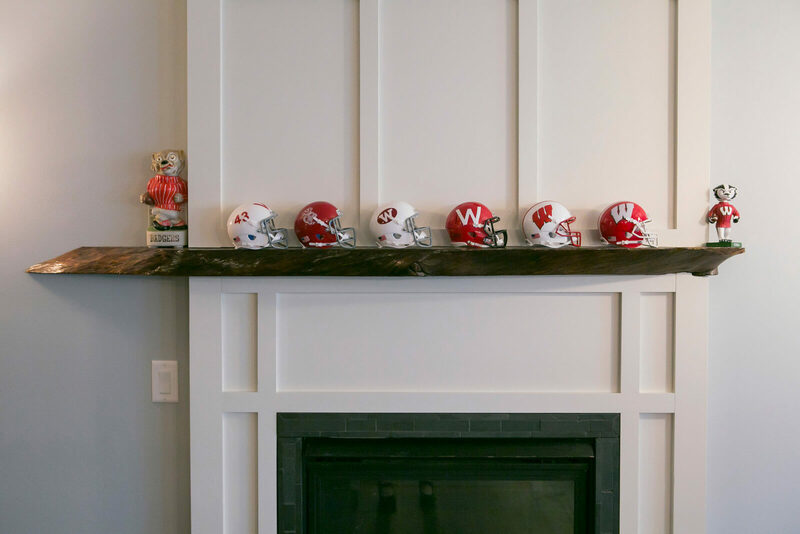 As big Badger fans, they wanted a place to cheer on their favorite team! 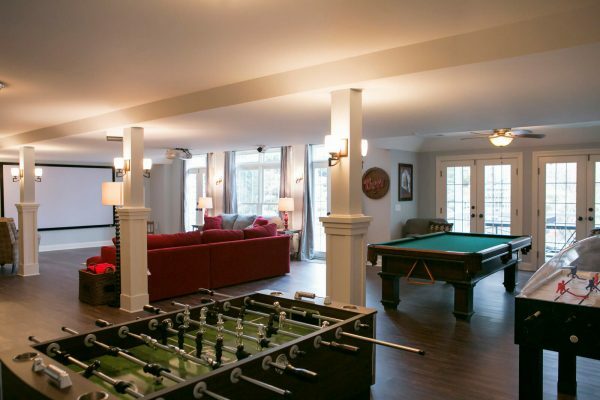 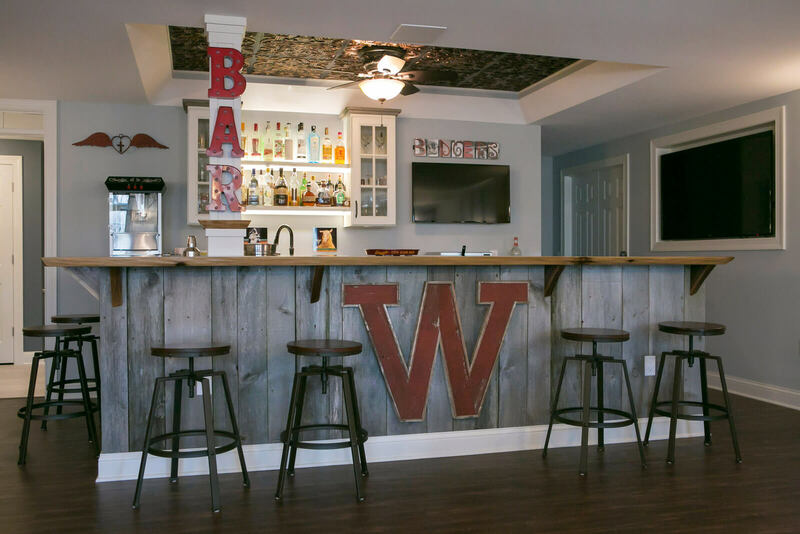 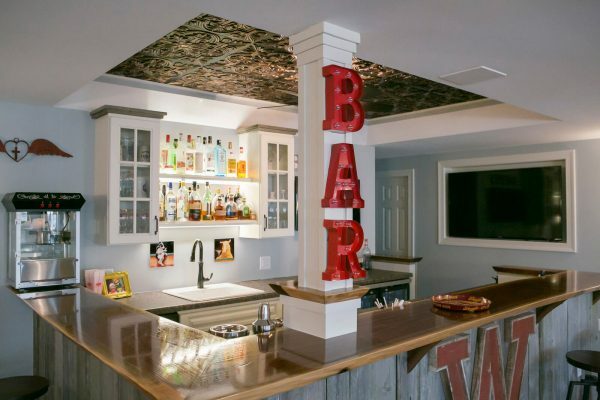 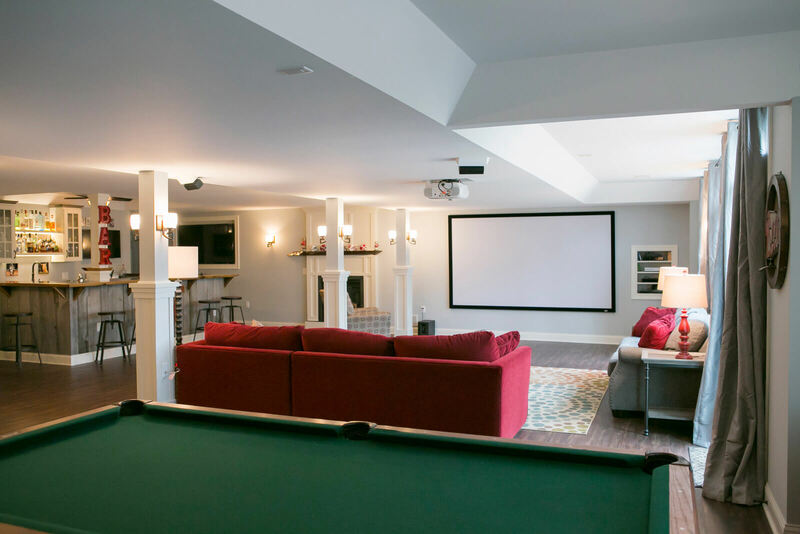 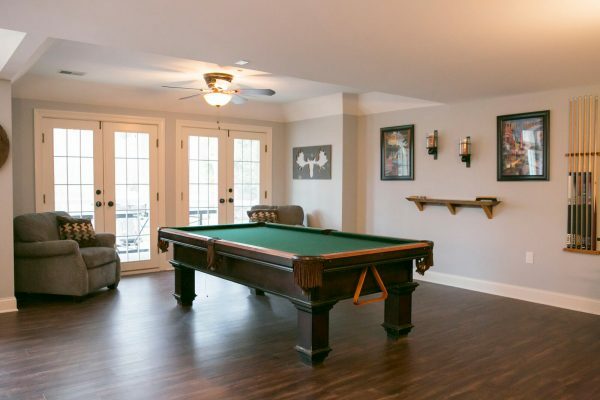 Working from a blank slate, we were able to finish the entire 2,000 square foot basement into the entertainment area they dreamed of complete with – a custom bar adorned with black walnut tops & reclaimed barn board and a one of a kind “W”, a pool table and game area, a 12 foot movie screen and theater space! 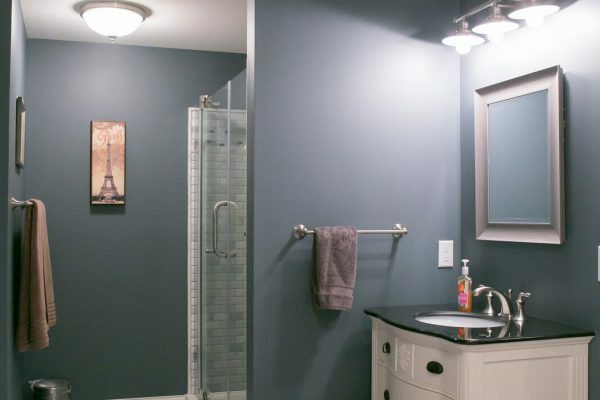 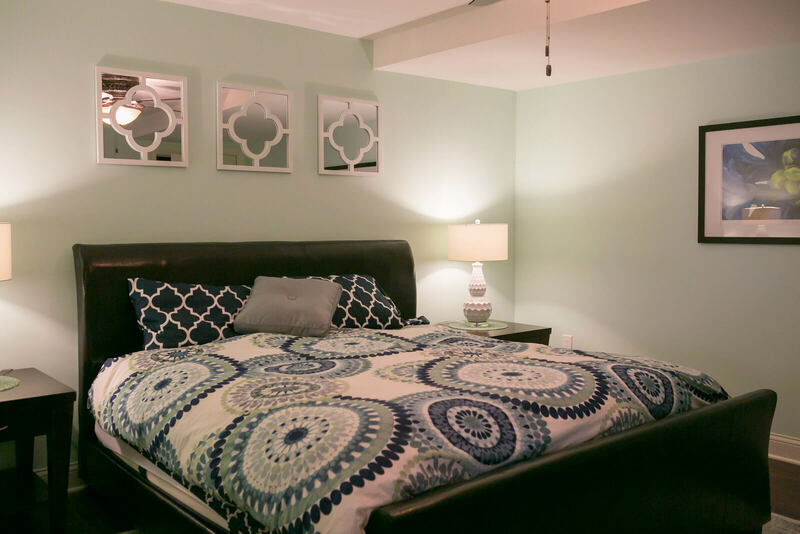 In addition we added more usable space for their guests with an additional bedroom and bathroom! 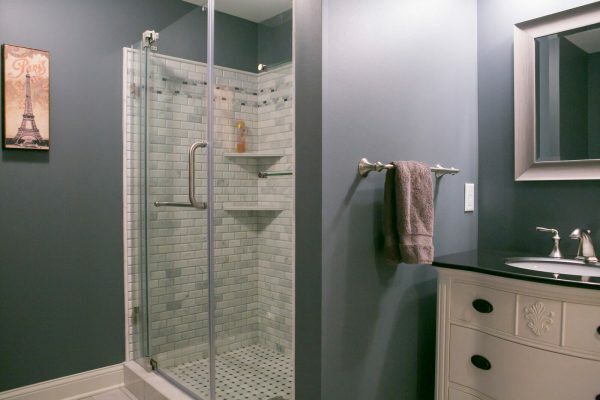 The family also has two large dogs and wanted a separate area to easily keep them clean, so we even created a dog washing area. This was a very fun project for a great family that we really enjoy working with. We know they will love the space!